Shannon the Ocean Fairy’s magical Golden Conch Shell has been lost in the oceans of the human world! In an exciting trip to the South Pole, Rachel and Kirsty must help Pia the Penguin Fairy to find Scamp the penguin – and the third piece of the missing shell. This is my favorite rainbow magic book of all times!!! 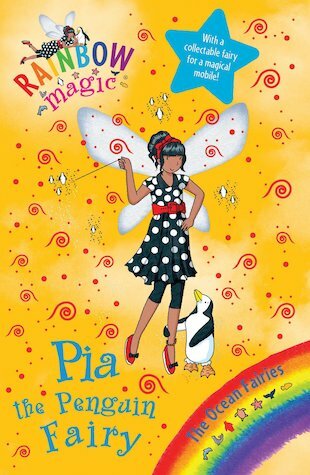 I love Scamp, Pia the Penguin Fairy’s Penguin he is so cute. Really Good! Great book. First Ocean Fairies book ever.